Month #3 was the month that I fell flat on. I got to photo 70 of 365 before I just kind of stumbled with taking photos. It was also the same day that I started my new job (sort of, officially/unofficially), which was back on November 9th and no photos were taken since. The month of November began with a Halloween Blythe meet on the 1st, followed by knitting, collecting birthday swag, turning another year older, and beginning orientation for my new job as a casual Registered Nurse. Since the 9th/last day I took a photo of Eden for 365, I’ve started working and have been really busy! Hopefully it settles a bit soon and I get into more of a routine so I can spend some time on my hobbies too. 365 challenges are hard. They are so simple in concept – take a photo once a day. Until you actually try to do it, then it’s a little bit more difficult. I didn’t get as far as I did with my first attempt at a 365 challenge with Eden (114 of 365), but that’s okay. I have different priorities now and the holiday season is upon us. 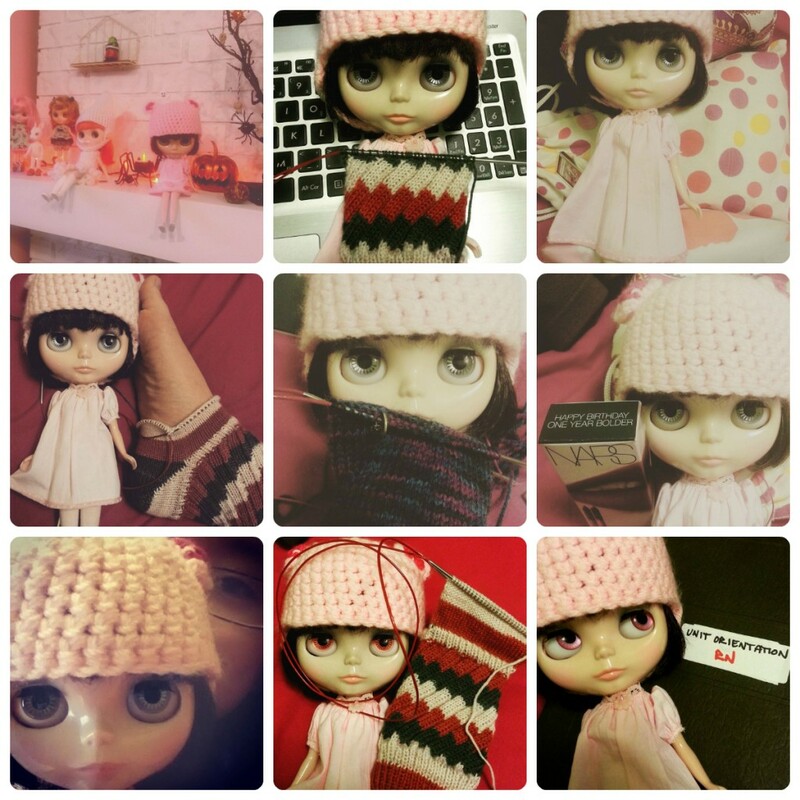 It’s been a good run, and I would like to try again at a 365 (perhaps with a different doll?) in the future once things settle a bit for me with work.